This is the conclusion of 4-part series. The war devastation made people realize that Japan had not been as modernized as they had thought. It became embarrassingly clear that Japan had had no chance of winning the war. Compared to their sorry state of material shortage, food shortage and poor industrialization, United States had everything they wanted and more (at least they thought so). Japan had a lot to catch up. Accelerate industrialization and modernization. Forget about anything old. In July 1945, most of Japanese seriously believed they should fight against incoming Americans with bamboo spears, even it meant suicide of the whole nation. After August 1945, it was apparent to anyone’s eye that tremendous degree of psychological, social and economical metamorphosis was required. Then, Japan became a nation of “amnesiacs”. They have to delete the past. The change was possible only through total annihilation of the past. 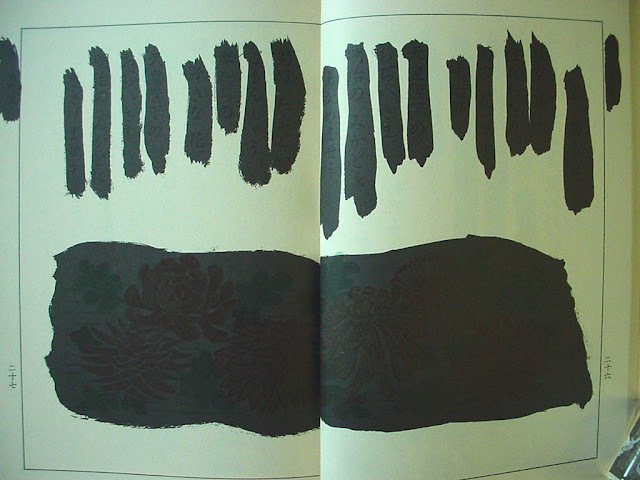 In schools, large parts of texts in textbooks were painted black. Not only it was to show that anything had been taught was wrong, but had to be erased. Reference to sacrifice, emperor,or any other code of ethics of war-time era were no longer mentioned in classrooms. Such a drastic change would require new plannings, visions and dreams. However, in many cases, such as Tokyo urban planning as we have seen in the previous part, the sense of immediate survival just killed dreams and visions, inevitably leading to a chaos. Chaotic city landscape was only the representation of this chaotic collective psyche. In “Tokyo Story”, Ozu carefully selected his exterior scenes to show us artifacts from prewar era while brutal contamination of the city was in progress elsewhere. Since the city completely lost its unity in space, one had to look for unity in time. “Absence of Tokyo” was a carefully crafted view. If the city has lost its identity, was there anything to show ? One aspect of “Tokyo Story” which would escape non-Japanese speaking audience’s attention is the use of Japanese dialect. Hirayama elders speak “Onomichi-ben“, dialect of Onomichi city, another location in “Tokyo Story”. But Koichi, Shige and Keizo, three children of Hirayama, do not speak in this dialect anymore, even when they are talking to their parents. Koichi and Shige speak in Standard Japanese (1). Keizo speaks in Osaka dialect, where he now lives (2). As in any language, a mother would feel slight disappointment if a son speaks in a different tongue than he grew up with. It is as if children forget where they are from. They painted their past in black, deleting the speech they grew up with. The fact Hirayamas in Tokyo speak this Standard Japanese emphasize their rootlessness. “Standard” means omnipresence and absence at the same time. They exist everywhere but nowhere. They are everybody and nobody. In one of the round-table talks for Sankei, a weekly journal, Ozu said “I hate (rural) intonation leaked into Standard Japanese (spoken by ‘hicks’ in Tokyo) (3)”. In these words, you might sense his antagonism toward pretentiousness of people who are not born in Tokyo. From time to time, you can find his remarks were filled with barely concealed pride as an Eddoko. But at the same time, as he might have not admitted it, Ozu was a part ‘hick’ in Tokyo. He had spent most of his adolescence in Matsuoka, a rural city in Mie. And it needs a ‘hick’ to understand their psychology. A pure Eddoko would never come up with a line like “Oh, they are my acquaintance,” when Shige speaks of her parents. Many of his films deal with these people immigrated to Tokyo from rural Japan. Sometimes, their dreams were brutally incarcerated. Ozu observes this through his stationary lens with deep sympathy. In his diary, “Danchotei Nichijo“, January 18, 1932, Kafu Nagai described the stroll around Horikiri station, near the Arakawa River. And after the long hours of wandering, he took the train back to Ginza and saw a blind beggar with a girl helping him. It is known that Yasujiro Ozu was reading this Kafu Nagai’s dairy during the production of “Tokyo Story”, and quite captivated by it. The Horikiri station is the one you see in the beginning of Tokyo section in the film. It is as described in the diary, sunk a little bit lower than the river bank (5). The scenery was obscured by the banks, only chimneys and electric poles could be seen. Tokyo is the city of strangers. Or any metropolis is. Isolation and despair in the city have been the core of many literature, art and cinema. Strangers may look at you, talk to you, or ignore you. They may laugh at you, yell at you, or spit at you. The last thing you would expect from strangers is the helping hand when you need it. Or is it ? One of the recurring theme in Ozu ‘s films is “parents and children as strangers”. Children grow out of parents. They stop speaking mother’s accents, forget how to spend time with parents and too busy to spare time with them. This separation happens in every generation, which Ozu called “more like reincarnation”. Imagine when Koichi’s children, these two little brothers, grow up. The same story will unfold. The story was, is and will be told again and again. from generation to generation. In earlier centuries, when a large family with a few generations lived under the same roof, this transformation was not so obvious. But modernization divided the families into the smallest unit possible and made this rite of passage more visible and painful. But there may be someone who would reach you and prepare medicine for you. And this someone can be a total stranger. It may be your wife or husband, who had been a stranger before you met. It may be your friend or neighbor. The fact that Koichi is a neighborhood doctor is quite revealing. We become somewhat overcritical about him after watching his relationship with his parents, but he is giving a helping hand to strangers in the neighborhood. Yes, it is his profession, but he is reaching and preparing medicine for a total stranger. In this sense, Noriko, a total stranger to Hirayamas, becomes a vague blur. She is not only a stranger to Hirayamas, but also to us. Does she have a family back home? Where was she from? Did she also delete the past as other Hirayamas have done? Only thing we know about her is this; She lost a stranger who would have prepared medicine for her. And this turned out to be a story of ethereal strangers in an ethereal city. The city and people in it do not have past and future, only a lost identity. Tokyo becomes every city and no city. 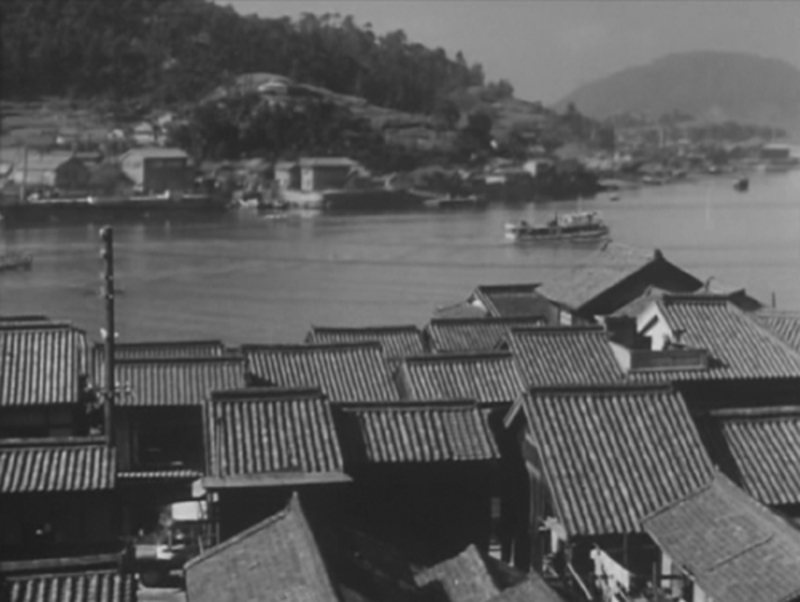 Onomichi, a small city roughly 80km east of Hiroshima, was not bombed during the war (Nearby shipyard was bombed twice). So the scenery you see in the film is the prewar city landscape survived. This is where Hirayama elders live. Here, neighbors peek in your house through the window and have some conversation. The sense of community is valued. Probably a large part of contemporary Japanese audiences noticed this prewar landscape (unconsciously). Rows of tiled roofs, absence of concrete buildings, and uniform architectural designs. If you compare this scenery with the photos of early 20th century Tokyo in Part 1, you realize there is a cunning resemblance between the two. This may well be a doppelganger of Tokyo. Tokyo without the earthquake, without the war. Tokyo with identity. Last frames of the film are the projection of the city that never will be. Ozu might have longed for it in vain. It maybe a nostalgia for the city that never existed. (1) Old Tokyo natives from downtown, Eddoko, speak “Edo-ben“, or Edo-dialect. Another form of Tokyo “dialect” is called “Yamanote-kotoba“, which has become the basis for Standard Japanese used in formal oral communication such as national broadcasting. (2) Ozu was not satisfied with Shiro Osaka’s command of Osaka-ben. Osaka, who was actually not from Osaka, had a hard time to give authenticity. However, Hirayama elders’ (Higashiyama and Ryu) command of Onomichi-ben is no better. (5) There is a speculation that the station in the film is not the actual Horikiri station but another one just like described in the diary, and Ozu might have disguised this station as Horikiri station.